Henry was in Scotland in 1829, presumably to gain experience if iron-founding there, for his return is anticipated in a letter from Mrs Agnes Forest, “when do you expect dear Henry’s return from Edinburgh? Hoping he will pass through Kendal.” William made him manager of the Hirwaun ironworks in 1831, perhaps earlier, and often rode there to see how things were going, staying the night as the Cardiff Arms inn, close to the works. William used to bring sample of iron for Henry to see and pile them on the mantelpiece of his regular room in the inn, until the landlord complained that it might break with the weight, so two special pillars to support it were made at Cyfarthfa and presented to him. Henry had inherited his father’s power of quick decision, was particularly painstaking and industrious, as well as being capable of handling people. The workmen respected his firmness, yet liked him for his reasonableness. There is a newspaper’s account of a deputation coming to see him about an increase wages. Henry met the men “at the office door, received them very kindly, and listened to grievances.” He promised an increase immediately trade improved, adding that “he should always be happy to redress, as far as lay in his power, and real grievance” and “would never mislead the.” According to this report the deputation was “well satisfied with Mr Crawshay’s straight forward conduct.” William II admired this son’s efficiency and boasted, some years later when Henry was in charge of the ironworks in the Forest of Dean, that “Pits, Engines and Collieries are the most perfect in the Kingdom,” great praise from one whose standards were so high. In this era the horizontal class division of society into upper middle, and lower, were absolutely rigid and, while a young man in Henry Crawshay’s position might indulge in liaisons with village girls, to marry one was unthinkable, and William II was aghast when this promising, clever son insisted on forming a misalliance with a humble Eliza Harris of Penderyn, near Hirwaun. Pay a girl for any illegitimate children of yours, but marriage! A son was born to Henry and Eliza, probably out of wedlock, but only lived a short time. Then came twin girls and their baptism was recorded by the minister of Nebo Independent chapel Hirwaun, in his personal register. The birth must have been ignored by William II and the Crawshay family or undoubtedly the children would have been baptized into the established church. No 938 Luchresah Crawshay, daughter of Henry Crawshay, Esq. By Eliza Harris in the parish of Penderin in the County of Brecon, was born December the 2nd 1834. Baptized January the 6th 1835, by me J. Harrison. No 939 Luisah Crawshay, daughter of Henry Crawshay Esq. By Eliza Harris in the parish of Penderin in the County of Brecon was born the 2nd 1834. Baptized January the 6th 1835 by me J. Harrison. Henry must have genuinely in love with Eliza Harris, for he married her in defiance of parental commands and family ostracism. Mr Henry Crawshay, the “Iron King of the Forest of Dean,” as he was styled, died on Monday, November 17, 1879, in his sixty-eight year, at Oaklands Park, Newnham, and throughout the forest his death evoked universal sorrow ad regret. He came from South Wales as far back as 1835, in which his father was introduced to the district by Mr Moses Teague, and soon afterwards his connection with Cinderford Ironworks began. At that time Capt. Frazer, father of the Bishop of Manchester, was associated with a Mr Protheroe, and the Messrs Allaway were carrying on iron manufactures either near to the site of the furnaces so long since famous as Messrs. Crawshay and Son’s pig iron works. Mr Crawshay acquired valuable mineral and coal properties, the former Buckshaft, and at Lightmoor. It is stated that from one mine alone the average output was 48,000 tons of high class hematite ore, and that during the years from 1860 to 1870 the mine yielded 398,725 tons. In his father’s death, August 4 1867, he became the sole proprietor of the Forest property, and he added to it by extensive purchases both in West and East Dean. He also acquired the furnaces and mines of the Parkend Iron Company, and tinplate mills of which and the furnaces were among the last commercial transactions with which he was associated, their sale in the one case and lease in the other having only recently taken in place. In fact, the sale of the furnaces was only announces on the day of his death. As an employer of labour no man had done more in the Forest to promote the comfort and happiness of his employees, and during the unhappy struggles which arose of late years in the Forest, and particularly during strike of 1874-75, when for some three months the colliers of the other chief masters were on strike, Mr Crawshay declined to associate himself with the movement, as his remarkable letter in November 1874, amply testified. Other instances might be mentioned, showing to some extent how he sympathised with the miners, colliers, and other bread-winners of the Forest. 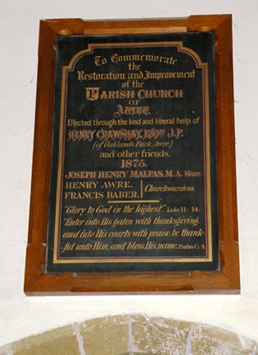 His acts of generosity will be long remembered in connection with the giving of his wealth to the restoration of churches, notably at Blaisdon and Awre, which was restored by him, together with his munificent donation of £1,000 for starting the restoration of Newnham parish church. To the promotion and education he was likewise a very liberal contributor, and his aid was extended not only to Church of England but to Nonconformist schools in the Forest. He remained at Hirwaun until 1847 when he went to manage ironworks in the Forest of Dean for his father, but his name seldom appears in accounts of family gatherings; and his wife’s name never. The marriage was a very happy union and altogether the couple had thirteen children. By this time William had given the Cinderford ironworks to his third son. Besides Oakland Park, Newham, Henry had a house Langlan, near Oystermouth, where “my dear wife Eliza,” as he called her in his will, lived after his death in November 1879. Henry Crawshay had the reputation of being rugged in manner, generous-hearted, and a strong supporter of the Crawshay family tradition that master and men should work together, each helping the other. At noon on Monday, Mr Henry Crawshay, of 0aklands Park, the Iron King of Dean Forest, and the last of the sons of the late Mr William Crawshay, “the father of the South Wales iron trade,” breathed his last. Like his sire, who reached four score years of age, Mr Henry Crawshay was a long lived man, surviving by a few days his 76th year, his birthday; indeed, being on Wednesday of last week. Mr Henry Crawshay leaves behind him a widow, with numerous children and grandchildren, to moan his loss. The children consist of three sons, Edwin, William, and Herbert, and seven daughters: Mrs Hill (wife of Captain Hill); Mrs Heyworth; Mrs Dennis; Mrs Creagh (wife of Captain Creagh); Mrs Talbot; Mrs Jardine (widow of the late Mr Sterry, of Swansea); and Miss Crawshay, all of whom were present during the few days of their father’s illness. Almost from the very outset of Mr Crawshay’s indisposition, his medical advisers, Dr Webb, of Blakeney, and Dr. Washbourne, of Gloucester, were present with him, and it is almost unnecessary to say that these gentlemen did everything that human skill could suggest to alleviate the suffering of their patient. The disorder which proved fatal was primary diabetes, followed by congestion of the lungs, and heart disease. Some particulars of the deceased gentleman will be read with interest. 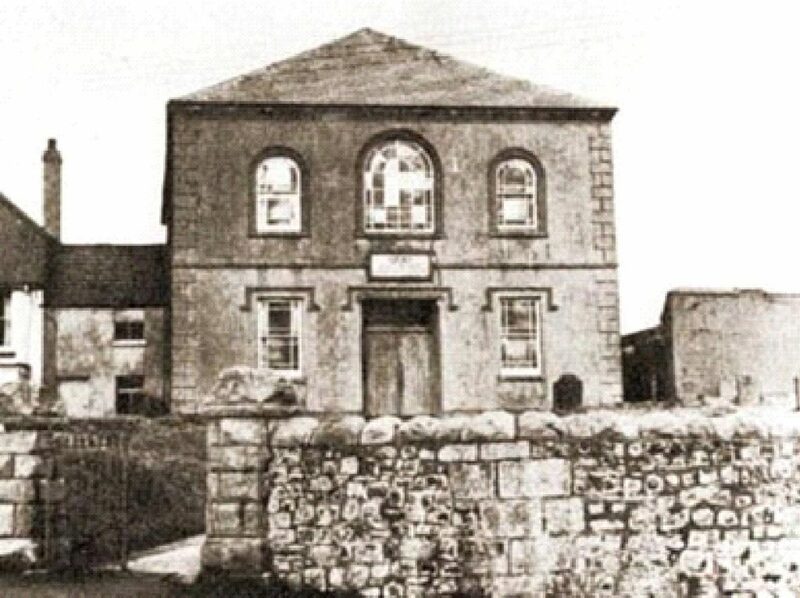 It was about the year 1835 that the late Mr Moses Teague set out from the Forest of Dean in pursuance of a scheme of intimidation aimed against other gentlemen in the Forest, determined, as he said, to bring Mr William Crawshay to the district. At that time Mr Teague was one of the owners of Cinderford, in connection with Messrs. Montague, Church, and Frazer, the latter being the father of the Bishop of Manchester, who recently referred to his father’s connection with the Forest of Dean. The outlay at Cinderford exceeded expectations, and some embarrassment being brought about by the great depression of the iron trade, it was determined by Mr Teague to introduce “new blood.” Hence the Crawshay family were negotiated with, Mr Teague waiting personally upon the father of the late squire in order to lay his schemes before him. This resulted in a visit to the Forest by the old gentleman, who was attended by his son, Mr Henry Crawshay. The negotiations proved successful, and the result was that the Cinderford Iron Company was formed, and from that time has been one of the most prosperous works in the kingdom. During all the vicissitudes of trade which have supervised, the Cinderford furnaces have been chiefly supplied with iron ore from the well-known Buckshaft Mine. This mine, with the equally famous colliery, “Lightmoor,” form the base of a triangle of which the Cinderford furnaces are the apex. From both iron mine and colliery Mr Crawshay brought his iron ore and coal to the furnaces over railways which were his private property. For such a long succession of years, it is doubtful whether any British mine has yielded a greater bulk of ore than the Buckshaft Mine. So great were the deposits of ore in this mine that some of the churns have been more than 14 yards in thickness of solid hematite iron ore, one of which alone took years to exhaust. From 1860 to 1870 as much as 398,725 tons were raised, the annual yield being approximately 48,000 tons. That Mr Crawshay has for a long time been the backbone of the Forest there can be no doubt, but it must be remembered that he possessed good properties, and derived handsome profits, having also sufficient capital to justify the opening of extensive areas, absolutely necessary to ensure profitable mineral speculation in the Forest of Dean. At the time of his death, the number of his employees, at the collieries, mines, and furnaces could hardly be less than 2,000 souls. As an employer, he always lived on the happiest terms with his workers, and always lent a favourable and kindly ear to their grievances. It will be remembered how in the lamentable strike of 1874-75 he discouraged the precipitate reduction threatened by the other masters, and wrote a letter urging that the proposed 10 per cent drop should not be enforced, adding that as the coal trade had improved, he thought the colliers ought to be permitted to have ‘bright hearths and joyous hearts at the approaching festival of Christmas.’ The latter, memorable as it ever will be, evoked the highest enthusiasm among the colliers, who proposed to wait upon the squire, en masse and give him a Forest cheer in front of his mansion. In declining this honour he said, “I consider it a sad thing to see such contentions going on, and I well know there are many poor families now in want, whose heads would accept the reductions for the sake of their wives and children, but in cases of this sort some must suffer, and I hope and trust to God I may not be the means of making the breach wider between masters and men.” This will suffice, in some measure, at least, to indicate the good feeling of the deceased towards his employees, whom he always treated in times of dispute with forbearance and consideration. As a contributor to pious and charitable objects, his generosity is well known. On purchasing the Blaisdon Estate he found the church was in a miserable condition of dilapidation, and he at once rebuilt it. On responding to the toast of his health, given by the Bishop of Gloucester and Bristol, on the occasion of the opening services, Mr Crawshay stated that as there was no one in the parish to find the money, and the church being in a dilapidated state, he thought he might benefit the parishioners by rebuilding or restoring it. This munificence was repeated at Awre, where a beautiful restored church stands as a monument to his memory. 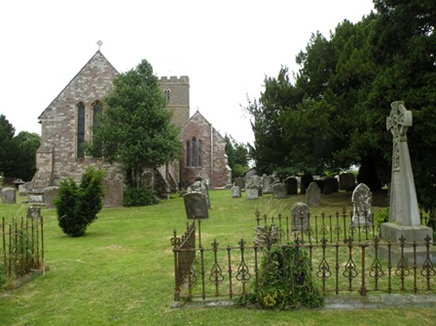 More recently at Newnham the squire gave a donation of £1,000 towards the restoration of the parish church, and liberally contributed to the same object in the parish of Westbury-on-Severn. In the matter of education the late squire was no less generous, having given his aid in the provision of schools at Newnham and Blakeney. 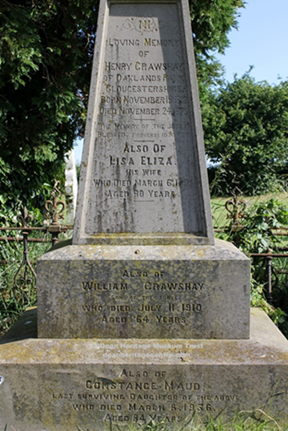 The will of William Crawshay of Caversham Park, Oxon, was proved on the 23rd July by the executors, Robert Thompson Crawshay and Henry Crawshay, his sons, and William Gray, of 5, Tokenhouse Yard, London. The personality was sworn under £2,000.000 sterling. The will bears date October 21, 1865, and the testator died at his seat, Caversham Park, on the 4th July, in his 80th year. He bequeaths to his widow all the stock, furniture, and effects at Caversham absolutely; also his mansion, estates, and farms in the county of Oxford, together with an annuity of £2,000 per annum. After her decease the mansion, &c., will pass to his daughter, Sarah Louise Crawshay, for her life; and ultimately to his grandson, William, the son of Robert T. Crawshay. To his daughter Eliza, widow of the Rev George Thomas (in addition to a former provision), he bequeaths an annuity of £1,000 per annum to each of his daughters, Amelia widow of Capt. T. F. Sandeman and Jessy, widow of Alfred Crawshay (in addition to sums previously secured), £150,000 consolations, and £10,000 additional to each under the powers of a settlement; to his daughter Sarah Louise Crawshay, £60.000 consolations; all these amounts being settled on his daughters for life, with remainder to their children. To the four children of his deceased daughter, Agnes Dolphin, he bequeaths the sum of £20,000 each. To his daughter Annette (wife of Captain Parland), an annuity of £1,500 per annum while living in England, and, if she leaves children surviving her he bequeaths to each £20.000; and he further appoints to his daughter Annette £7.000 under the settlement before referred to. To his grandson William Crawshay Ralston he bequeaths £10,000, which had been provided for the testator’s deceased daughter Isabel Ralston, and the further sum of £30,000. After reciting that he had already amply provided for his sons Francis and Henry, the testator directs his executors to set apart £160,000 consolations upon trust, to pay the dividend to his son Francis during his life, and, upon his decease, to hold £40,000 part thereof—viz., one moiety of £20,000 for the sole use of Isabella Fothergill and the other for Laura Fothergill, daughters of his said son Francis, with remainder to their respective children, and as to the remainder of the said £160,000, for the other children of his said son Francis. To his son Henry the testator gives all the Syracuse and Binghamton Railroad bonds and shares which he possessed; also £150,000 Turkish Stock, and £80,000 secured by his bonds. There are legacies to his executor, W. Gray, and to several of his servants, clerks. &c.; and the testator devised his Castle of Cyfarthfa (Glamorganshire), and the lands and ironworks there, and all the residue of his moneys, securities, and property, to his son Robert Thompson Crawshay. It is not known whether, under the unexpected circumstances of Mr Crawshay’s death, arrangements have been made of a definite character in respect to his mineral properties. They will doubtless be carried on, pending a final settlement, by his two sons, Mr Edwin, who has had the collieries and mines under his care, and Mr William, who has been the manager at the furnaces. On the death of the deceased gentleman becoming known, the tradesmen of Newnham and Blakeney put up their shutters out of respect to his memory and the feelings of the surviving members of his esteemed family. Langland was first constructed in 1856 for Henry Crawshay, ironmaster of Cinderford in the Forest of Dean, former manager of the Hirwaun ironworks, and son of William Crawshay II of Cyfarthfa Castle in Merthyr Tydfil. The present building probably resulted from enlargement in the 1880s or 1890s when it was converted into the Langland Bay Hotel and is in Victorian Gothic style, with polychrome dressings and a tower to the entrance front. During the height of its popularity as a seaside hotel, the Langland Bay also featured several acres of tennis courts and a bowling green for the use of guests. In 1922 it was sold to the Workingmen’s Club and Institute Union for a convalescent home. It is listed as a substantial 19th century industrialist’s house in a prominent location. 1824 and his third son, Henry, built a house in Langland Bay in 1856 as a holiday home, and that house was the nucleus for the present convalescent home. 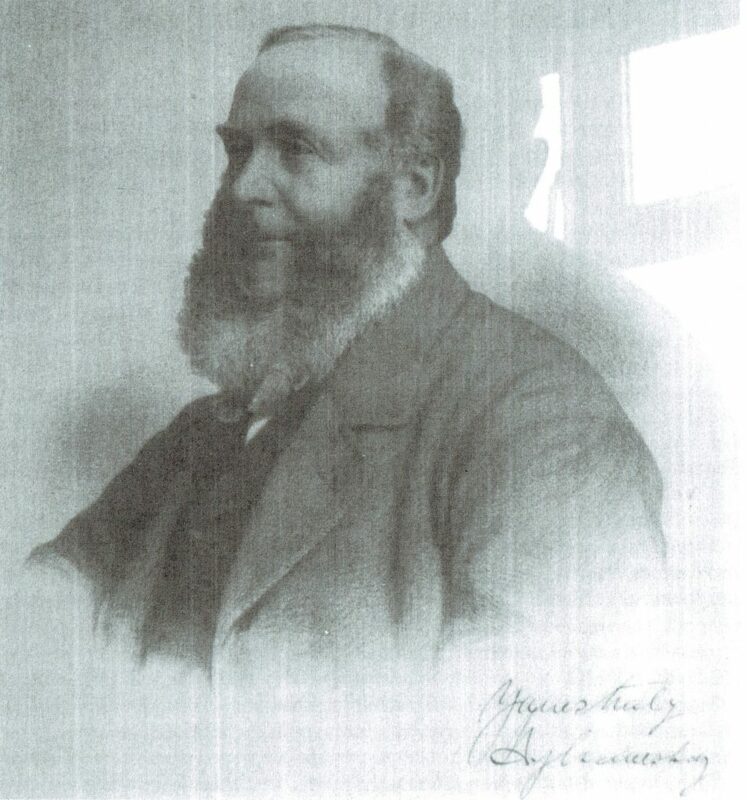 Henry Crawshay’s earlier years and education at Merthyr Tydfil have not been recorded, but at the age of seventeen he was sent to Scotland to gain knowledge of iron-founding. In 1831 when he was aged nineteen his father made him manager of the Hirwaun Ironworks, another family enterprise. This year and after were the most serious of the Merthyr riots. The Cambrian newspaper records that he returned to the rightful owners certain arms that had been seized by the rebels, and then recaptured, described as, “fourteen sabres, 2 muskets, 1 carbine and 6 pistols”. His father was then one of the most unpopular local industrialists, particularly in view of the fact that the troops sent to quell the unrest were quartered at Cyfarthfa Castle. Whilst at Hirwaun, Henry formed an attachment to, and eventually married, Lisa Eliza Harris of Penderyn, one of the workers in the foundry. This union was totally opposed by the Crawshay family, according to the strict class conventions of the time. As a result, Henry distanced himself from the main family at Cyfarthfa, and he was transferred by his father to manage the Cinderford Ironworks, another of the family businesses, in the Forest of Dean, in 1847. The Crawshay interests in that area became extensive, including the mining of coal and iron ore and the development of local railways. The town of Cinderford was largely built for the workers in these industries. 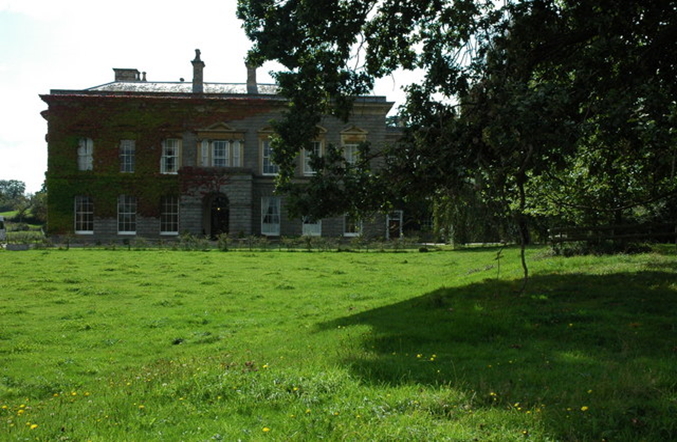 Henry Crawshay prospered, and built a mansion at Oaklands Park, near Newnham in Gloucestershire, as his home. He was said to possess considerable ability, and was a hard worker. His employees respected him, and liked him for his reasonableness. His father, with whom he remained on good terms, while not lavish with his praise, said of him in 1861, “Henry’s Pits, Engines and Collieries are the most perfect in the Kingdom”. He decided to build a summer retreat at Langland Bay, near Swansea. This was planned mainly for the enjoyment of his wife and growing family, and he probably did not spend much time there himself. He obtained the lease of two fields in 1856, owned by a Mr. John Hughes, and building commenced. Before that time, access to Langland was by a track from Newton on the route of what is now Brynfield Road, around the bottom of which were then two dwelling houses and a few farm sheds, the only buildings then in the Langland Bay. In July 1855 an agreement had been made by John Hughes and J.D. Berrington of Woodlands Castle (later re-named Clyne Castle) that the latter should make a road (what is now Langland Bay Road), “so that the public may use the same with horses, carts, and carriages”. About the same time, what is now Langland Road was constructed to connect Newton Road with Southward Lane and Overland Road, at Langland Corner, The Cambrian reporting the completion of this in June 1856, mainly financed by the Duke of Beaufort. So good road access to Langland was completed by 1856, and Henry Crawshay took over his lease on 30th August of that year. The original house was two storeys high, with a gabled tower extending to a third storey, and of substantial stone construction. The entrance gateway to the east had a lodge close by that was also two storeys high (demolished 1965), and there were coach buildings and a walled garden to the west. Early photographs show a fairly bare landscape with not much more than gorse bushes; the many trees seen today have grown since then. Strangely, the house was called ‘Llan-y-llan’, and as such it is marked on the 1878 Ordnance map. Henry did not speak Welsh, as did his wife, and it is curious that this name, apparently meaningless, was chosen. Perhaps it had some significance for the family. The census returns of the time show a usual staff of three servants living in the house, a housekeeper, dairy maid and housemaid, with gardeners and families at the lodge. None of the Crawshay’s feature on the returns, underlining the fact that their main residence was at Oaklands Park. Henry and his wife had a large family. Taylor lists thirteen children, and Beech two more, making fifteen in all, but three died in infancy. One daughter married Alfred Sterry, a Swansea mine-owner, who was the first Honorary Secretary of the Mumbles R.N.L.I Station. His eldest son, Edwin, succeeded him in the business. Oystermouth. Mrs Crawshay and some married daughters were mentioned as helping to run the stalls, positioned in marquees in front of the house. The band of the 3rd Glamorganshire Volunteer Corps played in 1862, and that of the Cyfarthfa works in 1866. Special trains were run from Swansea on the Mumbles Railway, and the enthusiastic reports in The Cambrian suggest great success. When a non-conformist minister from Avening, Gloucestershire, was drowned in Langland Bay in September 1865, a Miss Crawshay is mentioned in The Cambrian as organising the rescue, though her effort proved to be of avail. Swansea Regatta; the first for a “four-oared ship’s boat belonging to his yacht, the second for a two-oared boat, Master William Crawshay (his middle son then aged seventeen) in charge”. Mr. and Mrs. Crawshay were listed among the patrons of the appeal for the Swansea Public Hall (later the Albert Hall) in 1864. Church its first organ, replaced by a more modern one in 1916, but incorporating a few parts of the original. Mrs. Henry Crawshay was a benefactor of Newton School, where the log book records numerous visits by her between 1867 and 1882, usually between April and September each year. “promised them a tea when the strawberries will be ripe”. On a summer afternoon in the years 1867-69 she had all the children to tea at Llan- y-llan, “a sumptuous treat”, and perhaps in other years not recorded. In October 1869 she entertained the children of Newton and Bishopston schools combined, one hundred and twenty in number, to a mid-day meal of roast beef and plum pudding, followed later in the afternoon by tea and cakes “in the house”. 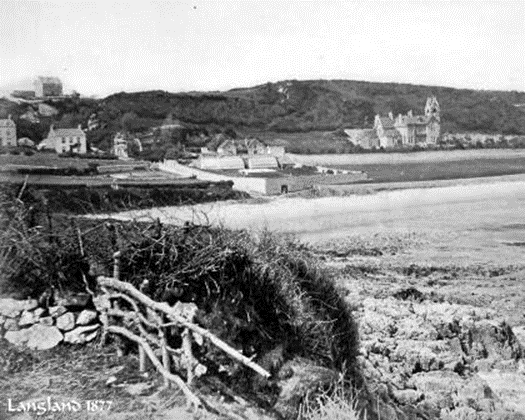 Langland Golf Course, was sold to a syndicate of local and London businessmen, forming the Langland Bay Co. Ltd., with the intention of opening the house as a hotel. In March 1889, a sale of many of the contents of the house was held, and drew scathing comments from the reporter from The Mumbles Chronicle who was present. He wrote, “There was a lack of that internal fitness of things which is always discernible in a well-regulated household. For instance, many of the things were costly rather than comfortable, some of them were dear rather than convenient, and although the quality of everything was unquestionable, the general effect of the whole castle was not pleasing to persons of refined taste”. The reporter also brought attention to the initials ‘H.C’ which, “in every room, on gazing at the mantelpiece, were here, there, and everywhere”. He added, “There is no greater lack of taste than that the monogram mania is the one blot on Langland Castle”. The reporter must have had a bad day! In later years a chimney sweep at Oaklands Park found ‘H.C’ carved in a chimney, reputedly carved by Henry himself.